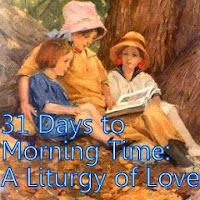 Morning Time Moms: Reading Aloud in Morning Time: History, etc. Perhaps reading aloud is what most of us think about when we think of sitting down with our children each morning. In fact, after all the hard work of the early parts of Morning Time, reading aloud almost seems to bring with it a wonderful, relaxing peace. In our family we usually read aloud from 2 or 3 subject books followed by the grand finale of MT our fun, literary book. Today I thought we could discuss some of the non-literary books we read aloud in MT saving our literature selections for another post. Quite often our reading aloud centers on history. Some of you know that I am not overly concerned about chronology. 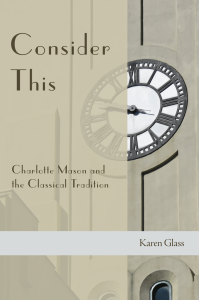 Taking a hint from Charlotte Mason in my younger years, I learned that we could handle reading from several different time periods at once without problems. When I am working on books for each child's individual reading lists I DO pick a time period for their reading but even then I do not let that stop me from making sure they read certain books before they graduate no matter what the era. In my opinion chronology is overrated and can be a stumbling block. Too much chronology can steal some of the joy out of finding that 'science of relations.' Some mothers are so bent towards chronology that they use up valuable time reading inferior books just to stick with the time frame. "Ain't nobody got time for that." I think of MT as a place to read what is called a history spine. Often I have two different spines going at the same time. I might be reading Our Island Story along with George Washington's World . Once again remember to keep it short. It may take me two or three years to get through a Marshall book. Last year we only read two spines and one carried over from the year before: The Story of the Thirteen Colonies by Marshall and the previously mentioned George Washington's World. This year we are reading Dorothy Mills The Book of the Ancient Greeks and King Alfred's English: A History of the Language We Speak and Why We Should Be Glad We Do. Most of my spine choices have come from Ambleside Online over the years. So we generally read a spine book of some sort, some other subject book such as our current book Science Matters and then a literary book which may or may not match up to the spine but usually doesn't. Not all read-alouds have to be heavy. Here are a few series which provide much learning without much stress on the part of the reader and they provide the best Morning Time gift: good memories. Try to find the old versions, I don't trust updates. As you can see I have affiliate links on many of my posts. It is always a treat when I earn a little Amazon credit and I thank-you if you have shopped via my links.